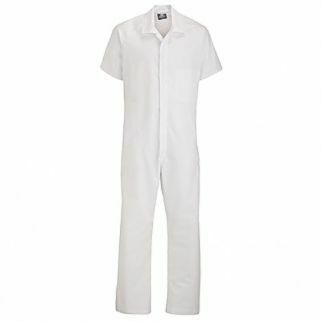 Sparkling clean white overall is just what your employees need when handling supplies in your dairy business. It is easy to buy new overalls, but how will you keep them all clean? Alsco’s Food Processing service offers high-quality overalls that we regularly clean and wash. This overall is made of the high-quality fabrics that guarantees a durability and protection against from harmful chemicals. Its dome fastening reduces contamination risks. Internal pockets, cuffed sleeves, and no external buttons, to minimise contamination. To get started, simply telephone our friendly customer service representatives in New Zealand on 0800 4 ALSCO or complete the online enquiry form.